Bye bye, Chinese buffet and hello Tibbys New Orleans Kitchen Brandon! It had been awhile since I remembered seeing the old Chinese buffet blink out and noticing the Tibbys New Orleans Kitchen Brandon sign going up. Mental note, check it out. I wouldn’t have thought my procrastination took so long but the hostess at Tibbys New Orleans Kitchen told me that they were just a day or so away from celebrating their first year. The exterior of the restaurant doesn’t shout “Cajun food here” and isn’t much to look at but when we stepped through the front door I was greeted by an eclectic display of eye catching New Orleans themed decor. Tibby’s interior is very pleasing visually and I was hoping that the food would be just as creative. 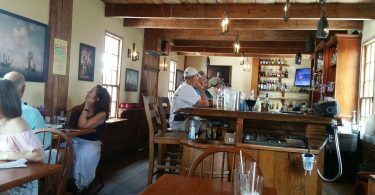 Tibbys New Orleans Kitchen Brandon – We tried three and we’ll be back to try more. 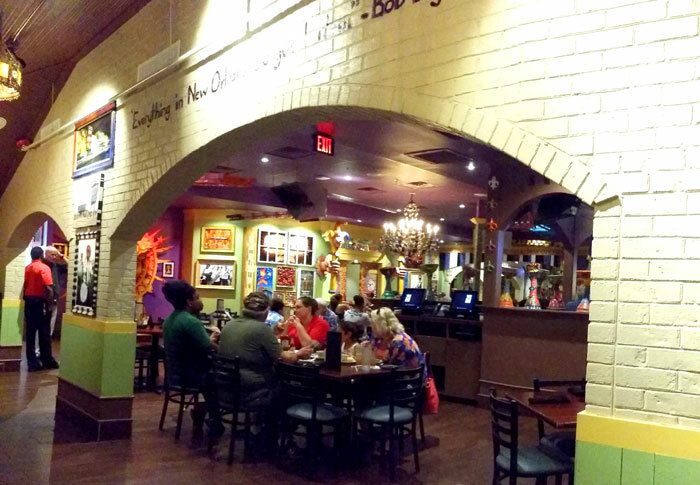 Tibbys New Orleans Kitchen Brandon offers a wide variety of Cajun inspired and traditional New Orleans entrees. 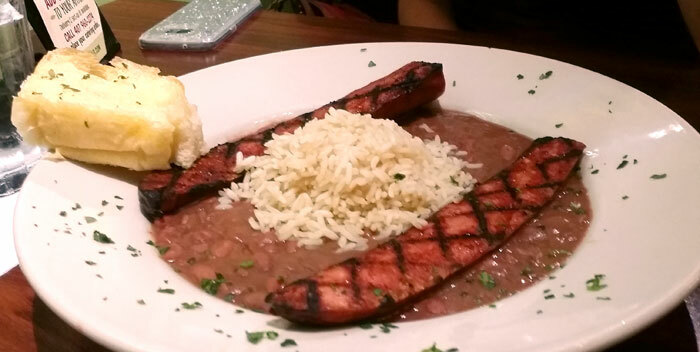 Jumbayala, Seafood Gumbo, Red Beans and Rice and so much more. 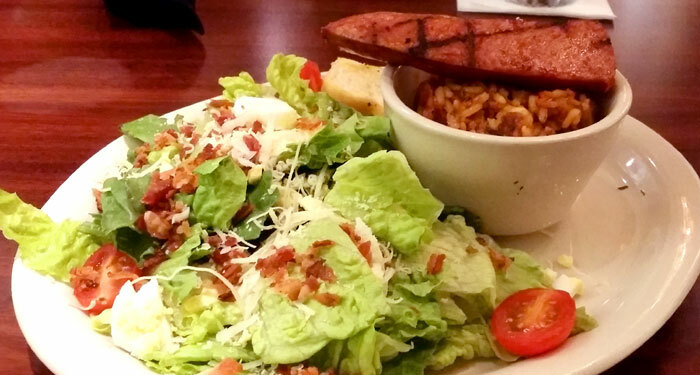 If it is Cajun, you will probably find it on Tibby’s New Orleans Kitchen in Brandon. with rice. Source: Tibby’s New Orleans Kitchen Menu. ANDOUILLE SAUSAGE JAMBALAYA Cajun sausage cooked with vegetables, rice & spices. Source: Tibby’s New Orleans Kitchen Menu. okra, topped with rice. Source: Tibby’s New Orleans Kitchen Menu. 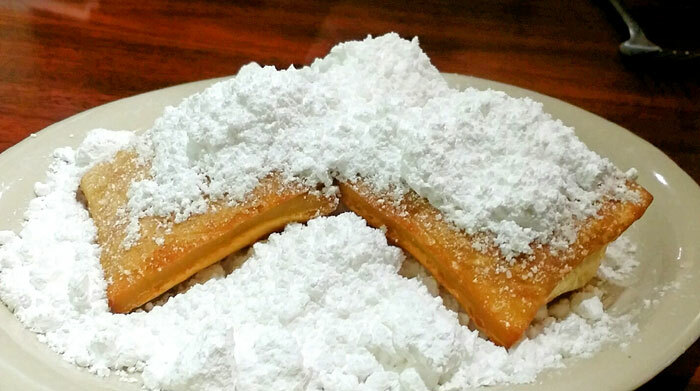 Beignets are commonly known in New Orleans as a breakfast item served with powdered sugar on top. They are traditionally prepared right before consumption and are meant to be eaten fresh and hot. We ordered these for our whole table to share and they were indescribably wonderful! There are all types of fried dough that can be experienced across cuisines internationally. 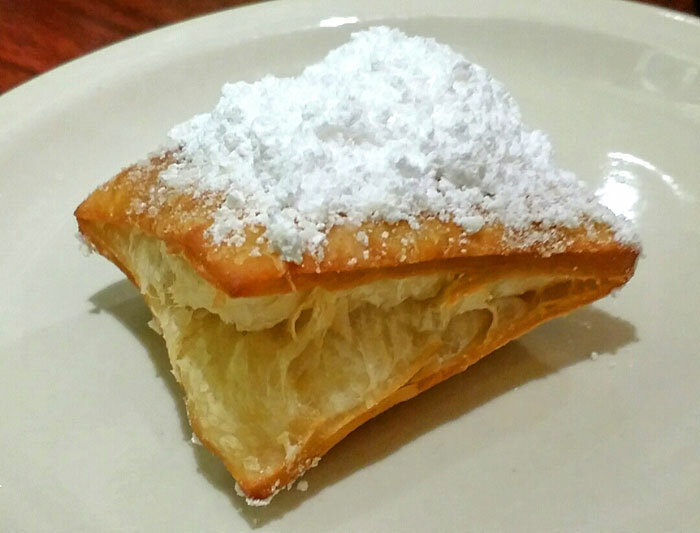 The origin of the term beignet is specifically French and here in the United States, beignets are a very popular part of the New Orleans Creole cuisine culture. Beignets are customarily served as a dessert or in some sweet variation. They were brought to New Orleans in the 18th century by French colonists, from “the old mother country”, and became a large part of home-style Creole cooking. Beignets were declared the official state doughnut of Louisiana in 1986. If all you do is visit Tibbys New Orleans Kitchen Brandon to try their Beignet’s, you will not leave disappointed. Tibbys New Orleans Kitchen Brandon is a welcome addition to Brandon’s epicurean landscape and we will be back for more. Check out Tibbys New Orleans Kitchen Brandon.